Hempstead invites the community to bring chairs, blankets, friends and holiday cheer for its Annual Festival of Lights Celebration this weekend. Taking place Saturday at the Hempstead Gazebo Park, from 3 to 9 p.m., the free festival will host a lighted evening parade, live entertainment, vendors, and a visit from Santa. The parade will begin at dusk, at roughly 5:45 p.m.
Live entertainment includes the Hempstead ISD Instrumental Music Department, which will be playing their Christmas program. In addition, the Hempstead Chamber of Commerce is sponsoring a tree decorating contest, inviting individuals and groups to come decorate trees in the Gazebo Park for cash prizes. Winners will also be announced for the home and business decorating contest. The Hempstead Chamber of Commerce building, located at 910 11th Street, has forms available for the decorating contests, parade entries, sponsorships, and vendor applications. Forms are also available online. The Gazebo Park in Hempstead is located between 11th and 12th Streets, directly behind the Post Office. 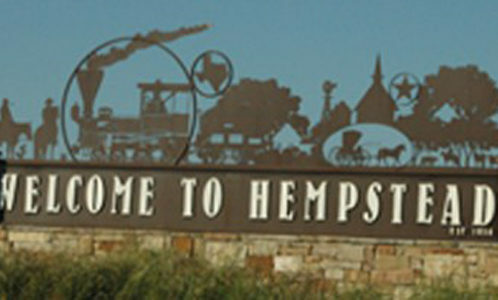 For more information, contact the Hempstead Chamber of Commerce at 979-826-8217, or go to www.hempsteadtxchamber.com. Written by: Josh Blaschke on December 6, 2018.